Alienware's M17 is a great laptop with impressive performance, but not the most powerful on offer. Overall, the M17-R1 is a great laptop which provides plenty of power and usability. It's a pleasure to use, with games running almost flawlessly. If you can afford it, however, we recommend you splash out on the Asus W90, which offers a more complete package. Alienware’s M17 follows up the m17x / m15x with a powerful, feature-packed gaming notebook that can double as a solid desktop replacement. That’s no surprise though–it is an expensive system and carries Alienware’s brand, plus the simple fact is that any $2000 gaming notebook will accomplish the same. Where the M17 delivers is in bringing considerable value and a lower initial starting price, as well as an ATI option, to Alienware fans. It’s a toned down version of the m17x which will appeal to many games, but ultimately if you are buying for value alone it can’t quite compete with Gateway’s current offerings. As good as the M17 looks now, it will be a much more attractive system once ATI’s 4800 series graphics land. To answer the question the article started with: certainly. Don’t expect it to compare to a similarly priced desktop, but the days of having to invest over $3000 in a gaming laptop are over. The M17 is yet another polygon-munching monster from the games-obsessed fanatics at Alienware. Unlike the identical-looking Area-51 m17x, which sports Nvidia graphics hardware, the M17 uses an ATI graphics solution, in addition to a choice of quad-core mobile CPUs. Prices start at around £1,050. The Alienware M17 is an awesome piece of kit. It's attractive, can be kitted out with a good range of high-end components and is blisteringly quick. There are alternatives, such as the Asus G71V, but few laptops can match the M17 for customisation options, features and speed. That gripe aside, those who want to get their game on will get a good deal out of the Alienware m17--especially considering that last year the m15x sold for over twice as much. As a gaming machine, the m17 delivers speed where it counts, but it lags a little in more conventional office-application tests. That gripe aside, those who want to get their game on will get a good deal out of the Alienware m17 - especially considering the price. As a gaming machine, the Alienware M17 delivers speed where it counts, but it lags a little in more conventional office-application tests. Laptops designed for gamers can run upwards of £3000, but most people don’t want to remortgage their house to be able to play games on the move. Desktop PCs will always be best for gaming, but when you need to go on the road there’s nothing quite a sweet as having a powerful machine to hand. Before getting your chequebook out you should bear in mind that a dedicated gaming laptop is a different beast compared to a general purpose multimedia laptop - regardless what the bloke at PC World or Currys tells you! There is no way that these types of machines can come close to competing with high-end models offered by the likes of Alienware, ASUS or Dell. Solid mix of price & performance, but optional extras make it ludicrously expensive. Alienware's M17 is kind of an odd product. It almost feels like a release of their older design with new internals. It does have strong gaming performance thanks to its ATI CrossFire enabled graphics. Outside of the graphics though, the system is only average with other much less expensive systems available that are just as capable. Of course, those who don't care much about cost can also equip it with a quad core mobile processor for added performance. The M17 is a well designed and powerful laptop only let down by its slightly weak graphics cards in very demanding games like Crysis. For gaming, there are better alternatives out there in terms of performance for the money, but this quad-core machine makes short work of everything else, making it well suited to video editing and other multi-threaded tasks. With its $1,999 price tag, Alienware’s M17 can hardly be considered a budget notebook. But it is reasonably priced compared with the company’s higher-end offerings—so you can get capable gaming performance without breaking the bank. With the Alienware M17, you don’t have to spend a fortune to own a capable gaming rig, unless you decide to trick it out with a quad-core processor. 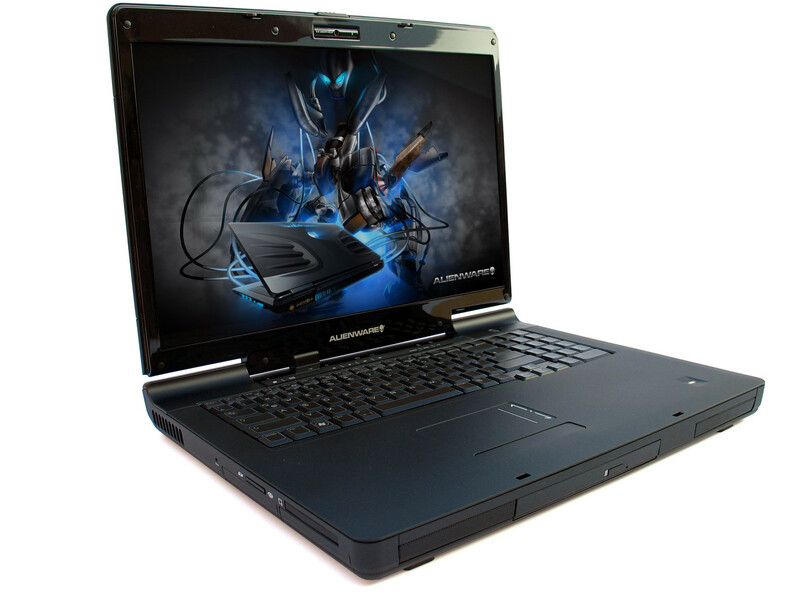 The Alienware M17 is one of the first laptops to use ATI's CrossFireX technology. Judging by our 3D tests, it can definitely hang with the mobile gaming giants. Considering its solid gaming performance and $1,999 price tag, the Alienware M17 proves itself a solid solution for gamers who crave elite performance without putting up their car or firstborn as collateral. Gamers on a tighter budget may want to invest in the $1,699 Gateway P-7801u, the follow-up to the highly popular P-7811FX that boasts Nvidia GeForce 9800M GTS graphics, a bigger 320GB hard drive, and an extra gig of RAM. While the M17 may not have all the bells and whistles of the m17x, sometimes flash isn’t needed to get the job done. Alienware is trying to have it both ways with the new M17, combining a relatively low starting price with some very pricey upgrades, including quad-core CPUs and ATI CrossFireX video cards. Our configuration wasn't very exciting, but turned in capable gaming scores. 81.44%: Esta evaluación es para ser considerada como promedio, porque la cantidad de portátiles con mejores evaluaciones es casi la misma que la cantidad con evaluaciones peores.